From February 10th to February 12th will take place the Termini Carnival, in the main square of Termini, an hamlet near Massa Lubrense. 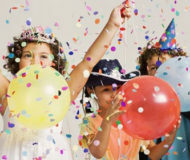 The three days of party, with entertaining shows for both adults and childrens. Dancers, musicians, jugglers and clowns will hit the streets, while – on the last night – the comedian Carmine Faraco will entertain with its funny show. At the Termini Carnival you’ll find the typical carnival food and, since morning, you can taste the tasty “sfogliatelle a coda”. Termini Carnival is the perfect place for families, where you can bring your children and let them enjoy this funny and pleasant days. Description: Find out the Termini Carnival, with dancers, musicians, jugglers and a lot of fun.